Apparently individuals suffering from schizotypy lack illusory superiority in one particular domain: evaluation of their affect. 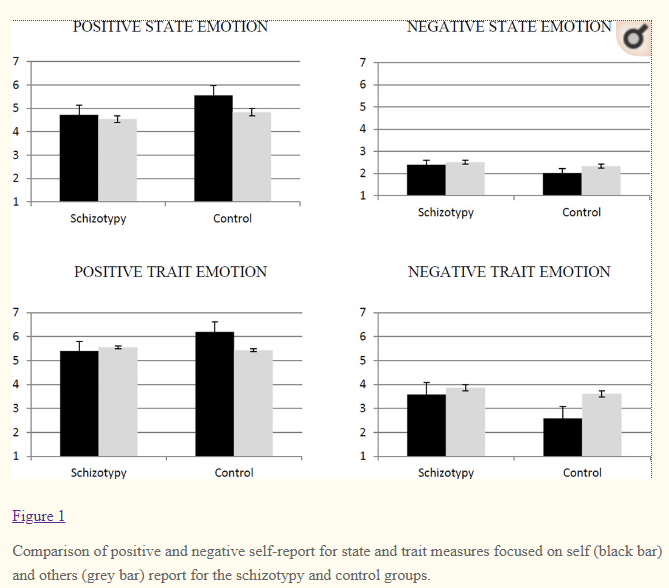 That is to say, neurotypicals overrate their positive affect (and underrate their negative one), whereas individuals with schizotypy don't do either relative to how their affect is perceived by others. There's another article which concludes that the five-factor model is good enough to capture schizotypy, although in practice (insofar) specialized tests are used to detect the latter. That begs the following question: do any of the big five personality factors, especially those that load most heavily on schizotypy (neuroticism, introversion, low openness to experience) have a moderating effect on illusory superiority (in some domain) on their own? By "on their own" I mean: is there a correlation between any of the big five (or even HEXACO) factors and lessened illusory superiority (on some issue), including via an interaction effect of the factors, but found without segregating the sample into schizotypy and non-schizotypy? N.B. : I'm aware of the controversy surrounding depressive realism, but let's stick just to personality here. Browse other questions tagged personality abnormal-psychology bias big-five illusory-superiority or ask your own question. Why are the Big Five factors of personality correlated? How does obedience correlate with the Big 5 factors of personality? Can the big five personality dimensions be trained/enhanced?